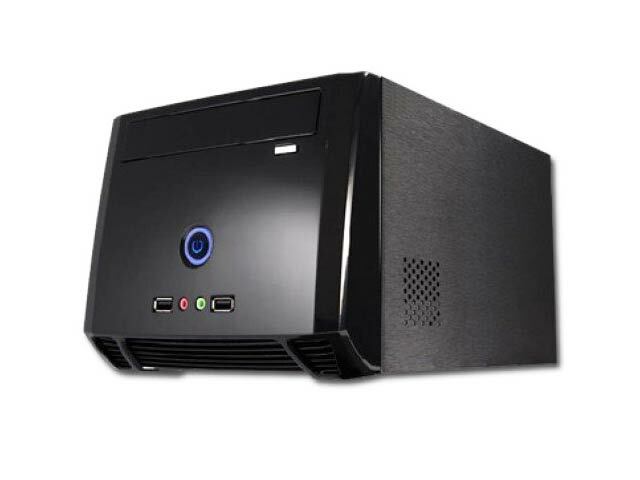 Great value case with high-gloss finish suitable for all Mini-ITX motherboards. Supports full-height PCI or PCI-Express cards. 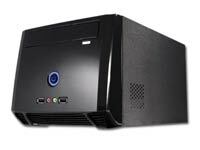 Bays: 1x Internal 3.5in Hard Drive; 1x 5.25in Optical Bay; 1x PCI or PCI-Express card. Cooling: 1x Rear 80mm Cooling Fan. Front Controls: 2x USB 2.0; 1x Illuminated Power Button; 1x Headphone; 1x Microphone. 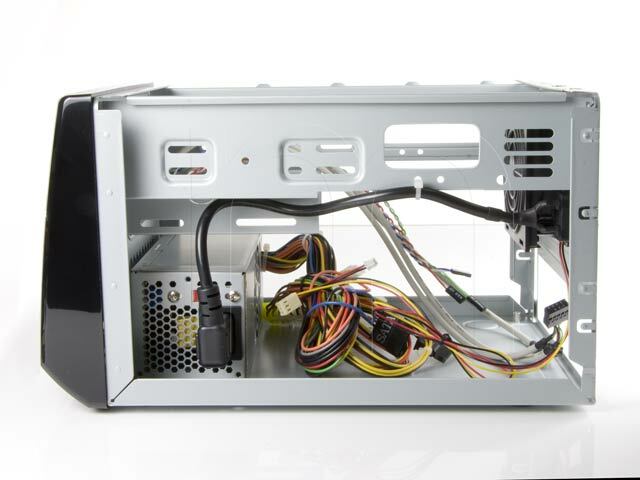 Power supply: Internal 150W ATX PSU with 40mm cooling fan. UK power cord provided as standard. Power connectors: 1x 20/24pin ATX; 1x 12V P4; 2x Molex HDD; 2x SATA Power. Measurements: 200mm (W) x 170mm (H) x 298mm (D) (7.8in x 6.7in x 11.7in). PCI/PCI-E Support: Cards up to about 18cm in length are supported (due to position of power supply inside chassis). Supported boards: All Embedded (e.g. Atom, Celeron Bay Trail) Mini-ITX boards with ATX connectors; Intel Socket Mini-ITX boards with standard retail heatsinks, or AMD Socket Mini-ITX boards with low profile heatsinks (recent AMD heatsinks are lower).